Robert Dufour passed away unexpectedly on January 16, 2019. He was 63 years old. Rob was born on March 17th, 1955 in Northampton, England to Ronald and Ruby (Crerar) Dufour. He graduated from Longmont High School in 1974 and subsequently attended Front Range Community College. Rob worked at IBM for 18 years where he met his wife, Juanita. They married on March 6, 1990. Rob was a professional truck driver for McLane and Beco for many years and retired in 2017. While he enjoyed bowling, camping, ATVing and the occasional trip to Blackhawk his true passion was golf. He was a member of the Sunset Golf Course Men’s Club. He was preceded in death by his parents (Ron and Ruby). Rob is survived by his wife, Juanita, brothers Ronald Dufour, Rodney Dufour, sister Virginia (Mike) Pomfret, children Jeremy Dufour, Matthew (Karina) Dufour, and Michael (Sara) Dufour, stepchildren, Renee (Rudy) Sarmiento, Roberta (Teddy) Luera, Richard (Renee) Torres, Rosalie Torres, Alfredo Almanza, and Daniel (Selene) Almanza ; grandchildren Ashley, Brittany, Tyler, Sterling, Rylea, Janessa, Brooklyn, Matthew Jr, Ian, Madison, Rudy Jr, Jaroed, RoseMarie, Michelle, Anthony, Christina, Juanita, Danielle, Richie, Jonathan, Alex, Alicia, and numerous nieces, nephews, and great-grandchildren. 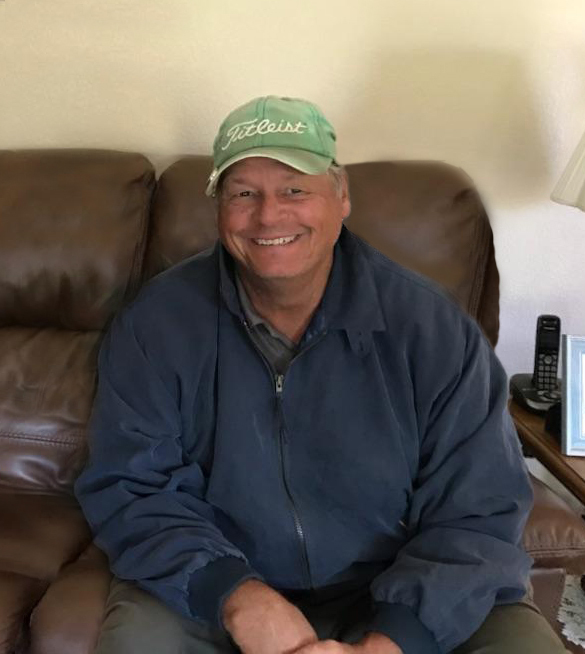 A celebration of life will be held at 2pm Friday January 25, 2019 at Bella Rosa Golf Course in Frederick, CO. Visit www.carroll-lewellen.com/ to share condolences.